This is “Marketing: Providing Value to Customers”, chapter 9 from the book An Introduction to Business (v. 1.0). For details on it (including licensing), click here. Mark Tilden used to build robots for NASA to trash on Mars, but after seven years of watching the results of his work meet violent ends forty-six thousand miles from home, he decided to specialize in robots for earthlings. He left the space world for the toy world and teamed up with Wow Wee Toys Ltd. to create “Robosapien,” an intelligent robot with an attitude.Wow Wee Toys, “Robosapien: A Fusion of Technology and Personality,” http://www.wowwee.com/robosapien/robo1/robomain.html (accessed May 21, 2006). The fourteen-inch-tall robot, which is operated by remote control, has great moves: In addition to the required maneuvers (walking forward and backward and turning), he dances, raps, and gives karate chops. He can pick up (fairly small) stuff and even fling it across the room, and he does everything while grunting, belching, and emitting other bodily sounds. Robosapien is a robot with attitude. What does Robosapien have to do with marketing? The answer is fairly simple: Though Mark Tilden is an accomplished inventor who has created a clever product, Robosapien wouldn’t be going anywhere without the marketing expertise of Wow Wee (certainly not forward). In this chapter, we’ll look at the ways in which marketing converts product ideas like Robosapien into commercial successes. 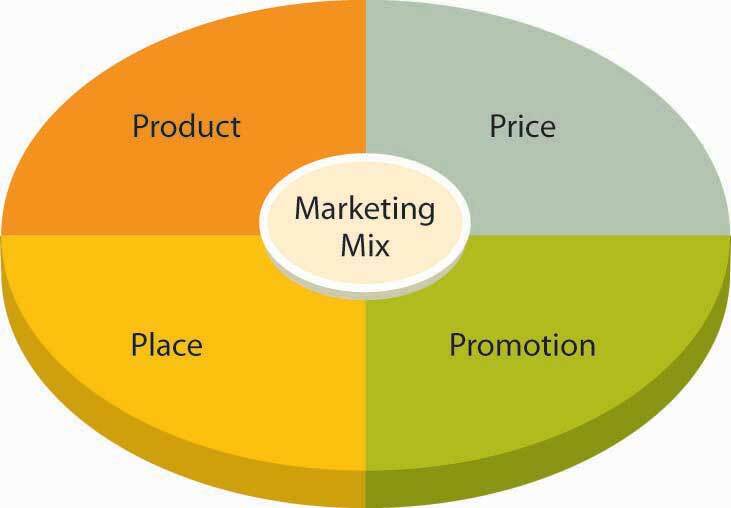 Identify the four Ps of the marketing mix. Explain how to conduct marketing research. Discuss various branding strategies and explain the benefits of packaging and labeling. The goal is to develop and implement a marketing strategy that combines these four elements. To see how this process works, let’s look at Wow Wee Toys’ marketing program for Robosapien.Information in this section was obtained through an interview with the director of marketing at Wow Wee Toys Ltd. conducted on July 15, 2004. The development of Robosapien was a bit unusual for a company that was already active in its market. Generally, product ideas come from people within the company who understand its customers’ needs. Internal engineers are then challenged to design the product. In the case of Robosapien, however, the creator, Mark Tilden, had conceived and designed the product before joining Wow Wee Toys. 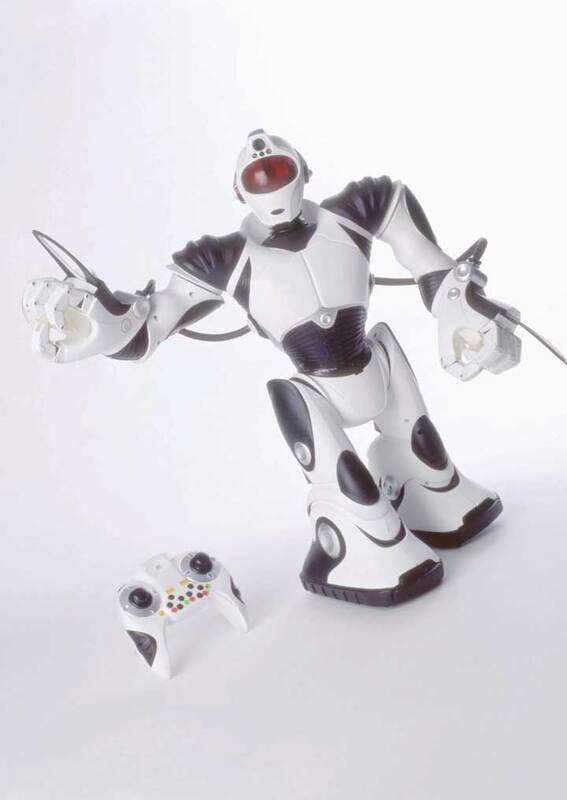 The company gave him the opportunity to develop the product for commercial purposes, and Tilden was brought on board to oversee the development of Robosapien into a product that satisfied Wow Wee’s commercial needs. Robosapien is not a “kid’s toy,” though kids certainly love its playful personality. 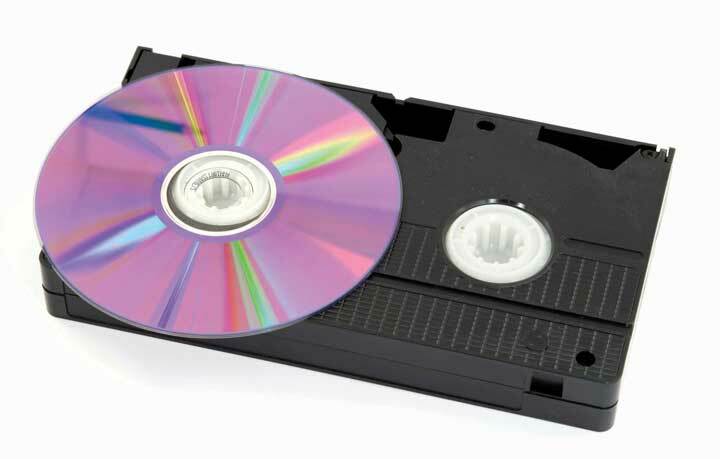 It’s a home-entertainment product that appeals to a broad audience—children, young adults, older adults, and even the elderly. It’s a big gift item, and it has developed a following of techies and hackers who take it apart, tinker with it, and even retrofit it with such features as cameras and ice skates. In fact, Tilden wanted the robot to be customizable; that’s why he insisted that its internal parts be screwed together rather than soldered. Who are our potential customers? What are they like? Do people like Robosapien? What gets them excited about it? What don’t they like? What would they change? How much are they willing to pay for Robosapien? Where will they probably go to buy the product? How should it be promoted? How can we distinguish it from competing products? Will enough people buy Robosapien to return a reasonable profit? Should we go ahead and launch the product? The last question would be left up to Wow Wee management, but, given the size of the investment needed to bring Robosapien to market, Wow Wee couldn’t afford to make the wrong decision. Ultimately, the company was able to make an informed decision because its marketing team provided answers to all the other questions. They got these answers through marketing researchProcess of collecting and analyzing data that’s relevant to a specific marketing situation.—the process of collecting and analyzing the data that are relevant to a specific marketing situation. Marketers generally begin by looking at secondary dataInformation used in marketing decisions that has already been collected for other purposes.—information already collected, whether by the company or by others, that pertains to the target market. Then, with secondary data in hand, they’re prepared to collect primary dataNewly collected marketing information that addresses specific questions about the target market.—newly collected information that addresses specific questions. You can get secondary data from inside or outside the organization. Internally available data includes sales reports and other information on customers. External data can come from a number of sources. The U.S. Census Bureau, for example, posts demographic information on American households (such as age, income, education, and number of members), both for the country as a whole and for specific geographic areas. You can also find out whether an area is growing or declining. Population data helped Wow Wee estimate the size of its potential U.S. target market. Other secondary data helped the firm assess the size of foreign markets in regions around the world, such as Europe, the Middle East, Latin America, Asia, and the Pacific Rim. This data positioned the company to sell Robosapien in eighty-five countries, including Canada, England, France, Germany, South Africa, Australia, New Zealand, Hong Kong, and Japan. Using secondary data that are already available (and free) is a lot easier than collecting your own information. Unfortunately, however, secondary data didn’t answer all the questions that Wow Wee was asking in this particular situation. To get these answers, the marketing team had to conduct primary research: they had to work directly with members of their target market. It’s a challenging process. First, they had to decide exactly what they wanted to know. Then they had to determine whom to ask. Finally, they had to pick the best methods for gathering information. Surveys. Sometimes marketers mail questionnaires to members of the target market. In Wow Wee’s case, the questionnaire could have included photos of Robosapien. It’s an effective way to reach people, but the process is time consuming and the response rate is generally low. Phoning people also takes a lot of time, but a good percentage of people tend to respond. Unfortunately, you can’t show them the product. Online surveys are easier to answer and get better response rates, and the site can link to pictures or even videos of Robosapien. Personal interviews. Though time consuming, personal interviews not only let you talk with real people but also let you demonstrate Robosapien. You can also clarify answers and ask open-ended questions. Focus groups. With a focus groupGroup of individuals brought together for the purpose of asking them questions about a product or marketing strategy., you can bring together a group of individuals (perhaps six to ten) and ask them questions. A trained moderator can explain the purpose of the group and lead the discussion. If sessions are run effectively, you can come away with valuable information about customer responses to both your product and your marketing strategy. Wow Wee used focus groups and personal interviews because both approaches had the advantage of allowing people to interact with Robosapien. In particular, focus-group sessions provided valuable opinions about the product, proposed pricing, distribution methods, and promotion strategies. Management was pleased with the feedback and confident that the product would succeed. Researching your target market is necessary before you launch a new product. But the benefits of marketing research don’t extend merely to brand-new products. Companies also use it when they’re deciding whether or not to refine an existing product or develop a new marketing strategy for an existing product. Kellogg’s, for example, conducted online surveys to get responses to a variation on its Pop-Tarts brand—namely, Pop-Tarts filled with a mixture of traditional fruit filling and yogurt. Marketers had picked out four possible names for the product and wanted to know which one kids and mothers liked best. They also wanted to know what they thought of the product and its packaging. Both mothers and kids liked the new Pop-Tarts (though for different reasons) and its packaging, and the winning name was “Pop-Tarts Yogurt Blasts.” The online survey of 175 mothers and their children was conducted in one weekend by an outside marketing research group. Armed with positive feedback from their research efforts, the Wow Wee team was ready for the next step: informing buyers—both consumers and retailers—about their product. They needed a brandWord, letter, sound, or symbol that differentiates a product from similar products on the market.—some word, letter, sound, or symbol that would differentiate their product from similar products on the market. They chose the brand name Robosapien, hoping that people would get the connection between homo sapiens (the human species) and Robosapien (the company’s coinage for its new robot “species”). To prevent other companies from coming out with their own “Robosapiens,” they took out a trademarkWord, symbol, or other mark used to identify and legally protect a product from being copied. by registering the name with the U.S. Patent and Trademark Office. Though this approach—giving a unique brand name to a particular product—is a bit unusual, it isn’t unprecedented. Mattel, for example, established a separate brand for Barbie, and Anheuser-Busch sells beer under the brand name Budweiser. Note, however, that the more common approach, which is taken by such companies as Microsoft, Dell, and Apple, calls for marketing all the products made by a company under the company’s brand name.“2002 Global Brands Scoreboard,” BusinessWeek Online, August 5, 2002, http://bwnt.businessweek.com/brand/2002/index.asp (accessed May 21, 2006). With private brandingProduct made by a manufacturer and sold to a retailer who in turn resells it under its own name. (or private labeling), a company makes a product and sells it to a retailer who in turn resells it under its own name. A soft-drink maker, for example, might make cola for Wal-Mart to sell as its Sam’s Choice Cola house brand. With generic brandingProduct with no branding information attached to it except a description of its contents., the maker attaches no branding information to a product except a description of its contents. 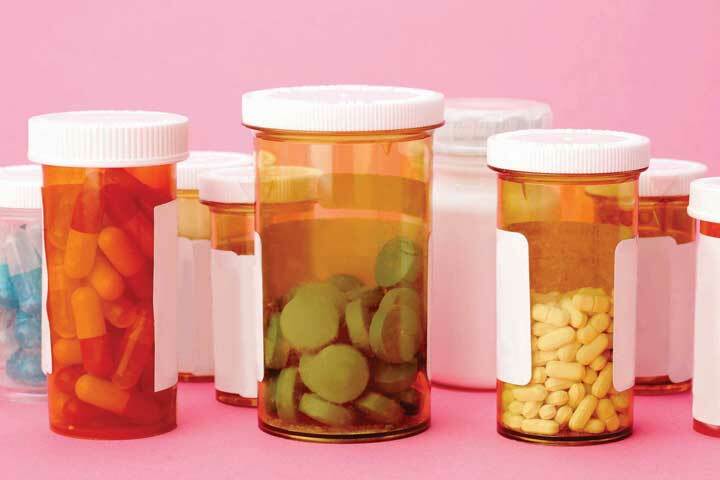 Customers are often given a choice between a brand-name prescription drug or a cheaper generic drug with a similar chemical makeup. Though the generic brand Fluoxetine has the same chemical makeup as Prozac, it has a much lower price tag. With manufacturer brandingBranding strategy in which a manufacturer sells one or more products under its own brand names., a company sells one or more products under its own brand names. Adopting a multiproduct-branding approach, it sells all its products under one brand name (generally the company name). Using a multibranding approach, it will assign different brand names to different products. Campbell’s Soup, which markets all its soups under the company’s name, uses the multiproduct-branding approach. Automakers generally use multibranding. Ford, for example, markets to a wide range of potential customers by offering cars under various brand names (Ford, Lincoln, Mercury, Mazda, Volvo, Jaguar, Land Rover, and Aston Martin). Wow Wee went with the multibranding approach, deciding to market Robosapien under the robot’s own brand name. Was this a good choice? The answer depends, at least in part, on how the product sells. If customers don’t like Robosapien, its failure won’t reflect badly on Wow Wee’s other products. On the other hand, people might like Robosapien but have no reason to associate it with other Wow Wee products. In this case, Wow Wee wouldn’t gain much from its brand equityValue of a brand generated by a favorable consumer experience with a product.—any added value generated by favorable consumer experiences with Robosapien. To get a better idea of how valuable brand equity is, think for a moment about the effect of the name Dell on a product. When you have a positive experience with a Dell product—say, a desktop PC or a laptop—you come away with a positive opinion of the entire Dell product line and will probably buy more Dell products. Over time, you may even develop brand loyaltyConsumer preference for a particular brand that develops over time based on satisfaction with a company’s products. : you may prefer—or even insist on—Dell products. Not surprisingly, brand loyalty can be extremely valuable to a company. Because of customer loyalty, the value of the Coca-Cola brand (whose brand equity has survived such fiascos as New Coke) is estimated at more than $67 billion.Diane Brady et al., “Cult Brands,” Business Week, August 2, 2004, 65–71. PackagingContainer that holds a product and can influence a consumer’s decision to buy or pass it up.—the container that holds your product—can influence a consumer’s decision to buy a product or pass it up. Packaging gives customers a glimpse of the product, and it should be designed to attract their attention. LabelingInformation on the package of a product that identifies the product and provides details of the package contents.—what you say about the product on your packaging—not only identifies the product but also provides information on the package contents: who made it and where or what risks are associated with it (such as being unsuitable for small children). How has Wow Wee handled the packaging and labeling of Robosapien? The robot, as we know, is fourteen inches tall, and it’s almost as wide. It’s also fairly heavy (about seven pounds), and because it’s made out of plastic and has movable parts, it’s breakable. The easiest, and least expensive, way of packaging it would be to put it in a square box of heavy cardboard and pad it with Styrofoam. This arrangement would not only protect the product from damage during shipping but also make the package easy to store. Unfortunately, it would also eliminate any customer contact with the product inside the box (such as seeing what it looks like and what it’s made of). Wow Wee, therefore, packages Robosapien in a container that’s curved to his shape and has a clear plastic front that allows people to see the whole robot. It’s protected during shipping because it’s wired to the box. Why did Wow Wee go to this much trouble and expense? Like so many makers of so many products, it has to market the product while it’s still in the box. Because he’s in a custom-shaped see-through package, you tend to notice Robosapien (who seems to be looking at you) while you’re walking down the aisle of the store. Meanwhile, the labeling on the package details some of the robot’s attributes. The name is highlighted in big letters above the descriptive tagline “A fusion of technology and personality.” On the sides and back of the package are pictures of the robot in action with such captions as “Dynamic Robotics with Attitude” and “Awesome Sounds, Robo-Speech & Lights.” These colorful descriptions are conceived to entice the consumer to make a purchase because its product features will satisfy some need or want. Packaging can serve many purposes. The purpose of the Robosapien package is to attract your attention to the product’s features. 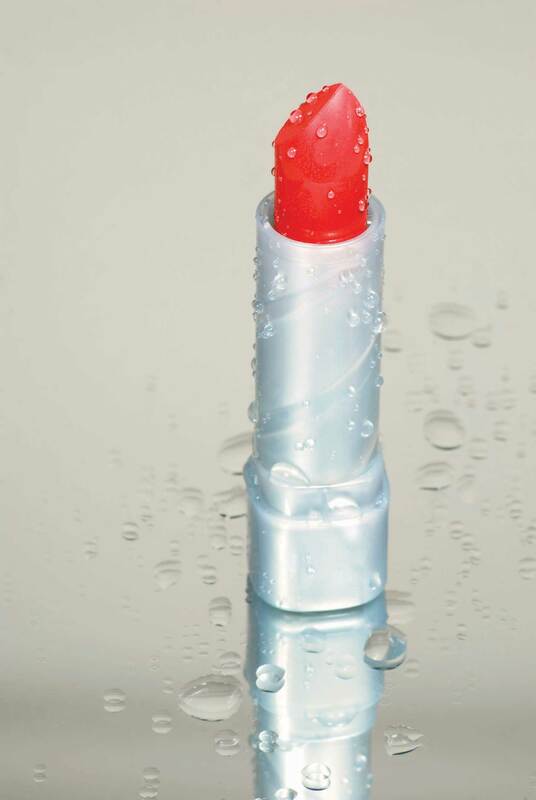 For other products, packaging serves a more functional purpose. Nabisco, for example, packages some of its tastiest snacks—Oreos, Chips Ahoy, and Cheese Nips—in “100 Calorie Packs” that deliver exactly one hundred calories per package.“Nabisco Introduces 100 Calorie Packs as a Way to Count Calories When Reaching for a Snack,” Packaging Digest, July 12, 2004, http://www.packagingdigest.com (accessed May 21, 2006). Thus, the packaging itself makes life simpler for people who are keeping track of calories (and reminds them of how many cookies they can eat without exceeding one hundred calories). Developing and implementing a marketing program involves a combination of tools called the marketing mix (often referred to as the “four Ps” of marketing): product, price, place, and promotion. Before settling on a marketing strategy, marketers often do marketing research to collect and analyze relevant data. First, they look at secondary data that have already been collected, and then they collect new data, called primary data. Methods for collecting primary data include surveys, personal interviews, and focus groups. A brand is a word, letter, sound, or symbol that differentiates a product from its competitors. To protect a brand name, the company takes out a trademark by registering it with the U.S. Patent and Trademark Office. With private branding, the maker sells a product to a retailer who resells it under its own name. Under generic branding, a no-brand product contains no identification except for a description of the contents. Using manufacture branding, a company sells products under its own brand names. When consumers have a favorable experience with a product, it builds brand equity. If consumers are loyal to it over time, it enjoys brand loyalty. Packaging—the container holding the product—can influence consumers’ decisions to buy products or not buy them. It offers them a glimpse of the product and should be designed to attract their attention. Labeling—the information on the packaging—identifies the product. It provides information on the contents, the manufacturer, the place where it was made, and any risks associated with its use. To what questions would you seek answers? What secondary data would you look at? What primary data would you collect and analyze? How would you gather these primary data? Identify pricing strategies that are appropriate for new and existing products. The second of the four Ps in the marketing mix is price. Pricing a product involves a certain amount of trial and error because there are so many factors to consider. If you price too high, a lot of people simply won’t buy your product. Or you might find yourself facing competition from some other supplier that thinks it can beat your price. On the other hand, if you price too low, you might not make enough profit to stay in business. So how do you decide on a price? Let’s look at several pricing options that were available to those marketers at Wow Wee who were responsible for pricing Robosapien. We’ll begin by discussing two strategies that are particularly applicable to products that are being newly introduced. Right now, Robosapien has little direct competition in its product category. True, there are some “toy” robots available, but they’re not nearly as sophisticated. Sony makes a pet dog robot called Aibo, but its price tag of $1,800 is really high. Even higher up the price-point scale is the $3,600 iRobi robot made by the Korean company Yujin Robotics to entertain kids and even teach them foreign languages. Parents can also monitor kids’ interactions with the robot through its own video-camera eyes; in fact, they can even use the robot itself to relay video messages telling kids to shut it off and go to sleep.Cliff Edwards, “Ready to Buy a Home Robot?” Business Week, July 19, 2004, 84–90. With skimming pricingPricing strategy in which a seller generates early profits by starting off charging the highest price that customers will pay., Wow Wee would start off with the highest price that keenly interested customers would pay. This approach would generate early profits, but when competition enters—and it will, because healthy profits can be made in the market—Wow Wee would have to lower its price. Using penetration pricingPricing strategy in which the seller charges a low price on a new product to discourage competition and gain market share., Wow Wee would initially charge a low price, both to discourage competition and to grab a sizable share of the market. This strategy might give the company some competitive breathing room (potential competitors won’t be attracted to low prices and modest profits). Over time, as its growing market discourages competition, Wow Wee can push up its prices. In their search for the best price level, Wow Wee’s marketing managers could consider a variety of other approaches, such as cost-based pricing, demand-based pricing, target costing, odd-even pricing, and prestige pricing. Any of these methods could be used not only to set an initial price but also to establish long-term pricing levels. Before we examine these strategies, let’s pause for a moment to think about the pricing decisions that you have to make if you’re selling goods for resale by retailers. Most of us think of price as the amount that we—consumers—pay for a product. But when a manufacturer (such as Wow Wee) sells goods to retailers, the price it gets is not what we the consumers will pay for the product. In fact, it’s a lot less. Here’s an example. Say you buy a shirt at a store in the mall for $40. The shirt was probably sold to the retailer by the manufacturer for $20. The retailer then marks up the shirt by 100 percent, or $20, to cover its costs and to make a profit. The $20 paid to the manufacturer plus the $20 markup results in a $40 sales price to the consumer. Using cost-based pricingPricing strategy that bases the selling price of a product on its cost plus a reasonable profit., Wow Wee’s accountants would figure out how much it costs to make Robosapien and then set a price by adding a profit to the cost. If, for example, it cost $40 to make the robot, Wow Wee could add on $10 for profit and charge retailers $50. Let’s say that Wow Wee learns through market research how much people are willing to pay for Robosapien. Following a demand-based pricingPricing strategy that bases the price of a product on how much people are willing to pay for it. approach, it will use this information to set the price that it charges retailers. If consumers are willing to pay $120 retail, Wow Wee will charge retailers a price that will allow retailers to sell the product for $120. What would that price be? Here’s how we would arrive at it: $120 consumer selling price minus a $60 markup by retailers means that Wow Wee can charge retailers $60. With target costingPricing strategy that determines how much to invest in a product by figuring out how much customers will pay and subtracting an amount for profit., you work backward. You figure out (again using research findings) how much consumers are willing to pay for a product. You then subtract the retailer’s profit. From this price—the selling price to the retailer—you subtract an amount to cover your profit. This process should tell you how much you can spend to make the product. For example, Wow Wee determines that it can sell Robosapien to retailers for $70. The company decides that it wants to make $15 profit on each robot. Thus, Wow Wee can spend $55 on the product ($70 selling price to the retailer minus $15 profit means that the company can spend $55 to make each robot). 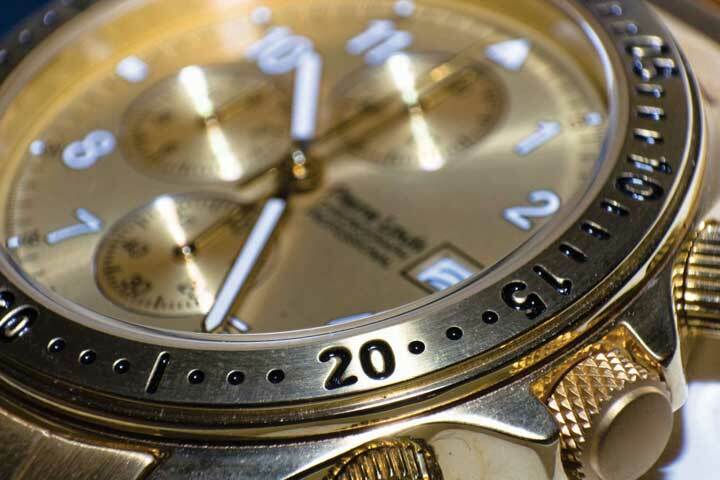 Luxury goods, like jewelry and watches, are priced based on a prestige approach. Some people associate a high price with high quality—and, in fact, there generally is a correlation. Thus, some companies adopt a prestige-pricingPractice of setting a price artificially high to foster the impression that it is a product of high quality. approach—setting prices artificially high to foster the impression that they’re offering a high-quality product. Competitors are reluctant to lower their prices because it would suggest that they’re lower-quality products. Let’s say that Wow Wee finds some amazing production method that allows it to produce Robosapien at a fraction of its current cost. It could pass the savings on by cutting the price, but it might be reluctant to do so: What if consumers equate low cost with poor quality? Do you think $9.99 sounds cheaper than $10? If you do, you’re part of the reason that companies sometimes use odd-even pricingPractice of pricing products a few cents (or dollars) under an even number.—pricing products a few cents (or dollars) under an even number. Retailers, for example, might price Robosapien at $99 (or even $99.99) if they thought consumers would perceive it as less than $100. With a new product, a company might consider the skimming approach—starting off with the highest price that keenly interested customers are willing to pay. This approach yields early profits but invites competition. Using a penetration approach, marketers begin by charging a low price, both to keep out competition and to grab as much market share as possible. Several strategies work for existing as well as new products. With cost-based pricing, a company determines the cost of making a product and then sets a price by adding a profit to the cost. With demand-based pricing, marketers set the price that they think consumers will pay. Using target costing, they figure out how much consumers are willing to pay and then subtract a reasonable profit from this price to determine the amount that can be spent to make the product. Companies use prestige pricing to capitalize on the common association of high price and quality, setting an artificially high price to substantiate the impression of high quality. Finally, with odd-even pricing, companies set prices at such figures as $9.99 (an odd amount), counting on the common impression that it sounds cheaper than $10 (an even amount). When you introduce the product, should you use skimming or penetration pricing? Which of the following pricing methods should you use in the long term: cost-based pricing, demand-based pricing, target costing, or prestige pricing? Prepare a report describing both your introductory and your long-term alternatives. Then explain and justify your choice of the methods that you’ll use. Explain how companies create value through effective supply chain management. 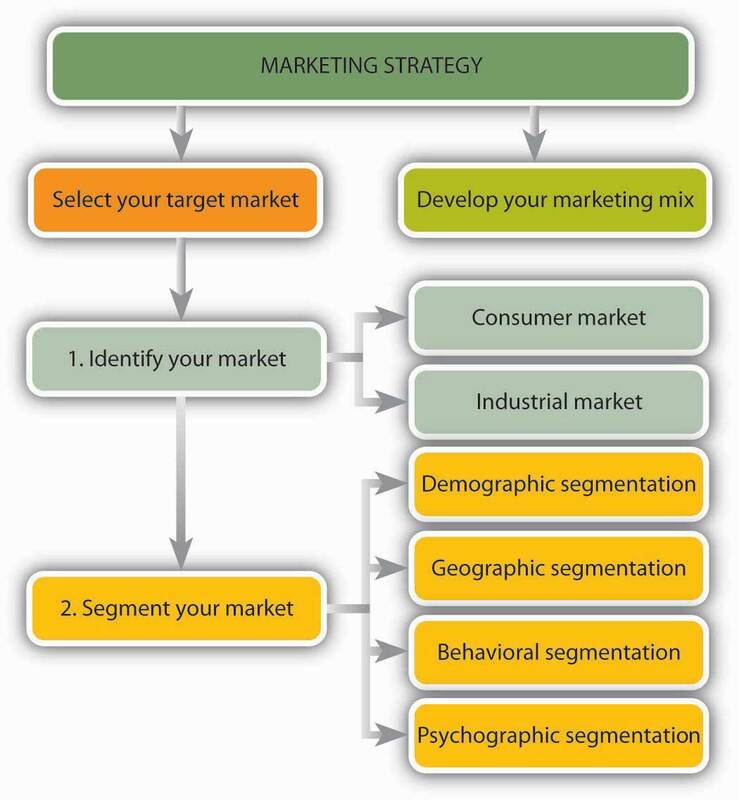 The next element in the marketing mix is place, which refers to strategies for distribution. DistributionAll activities involved in getting the right quantity of a product to the right customer at the right time and at a reasonable cost. entails all activities involved in getting the right quantity of your product to your customers at the right time and at a reasonable cost. Thus, distribution involves selecting the most appropriate distribution channels and handling the physical distribution of products. Companies must decide how they will distribute their products. Will they sell directly to customers (perhaps over the Internet)? Or will they sell through an intermediaryWholesaler or retailer who helps move products from their original source to the end user.—a wholesaler or retailer who helps move products from their original source to the end user? As you can see from Figure 9.8 "Distribution Channels", various marketing channels are available to companies. Many businesses, especially small ones and those just starting up, sell directly to customers. Michael Dell, for example, started out selling computers from his dorm room. Tom First and Tom Story began operations at Nantucket Nectars by peddling home-brewed fruit drinks to boaters in Nantucket Harbor. Most service companies sell directly to their customers; it’s impossible to give a haircut, fit contact lenses, mow a lawn, or repair a car through an intermediary. Many business-to-business sales take place through direct contact between producer and buyer. Toyota, for instance, buys components directly from suppliers. The Internet has greatly expanded the number of companies using direct distribution, either as their only distribution channel or as an additional means of selling. Dell sells only online, while Adidas and Apple Computer sell both on Web sites and in stores. The eBay online auction site has become the channel of choice for countless small businesses. The advantage of this approach is a certain degree of control over prices and selling activities: you don’t have to depend on or pay an intermediary. On the other hand, you must commit your own resources to the selling process, and that strategy isn’t appropriate for all businesses. It would hardly be practical for Wow Wee to sell directly to individual consumers scattered around the world. RetailersIntermediaries who buy goods from producers and sell them to consumers. buy goods from producers and sell them to consumers, whether in stores, by phone, through direct mailings, or over the Internet. Best Buy, for example, buys Robosapiens from Wow Wee and sells them to customers in its stores. Moreover, it promotes Robosapiens to its customers and furnishes technical information and assistance. Each Best Buy outlet features a special display at which customers can examine Robosapien and even try it out. On the other hand, selling through retailers means giving up some control over pricing and promotion, and the wholesale price you get from a retailer, who has to have room to mark up a retail price, is substantially lower than you’d get if you sold directly to consumers. Selling through retailers works fine if you’re dealing with only a few stores (or chains). But what if you produce a product—bandages—that you need to sell through thousands of stores, including pharmacies, food stores, and discount stores. You’ll also want to sell to hospitals, day-care centers, and even college health centers. In this case, you’d be committing an immense portion of your resources to the selling process. Besides, buyers like the ones you need don’t want to deal directly with you. Imagine a chain like CVS Pharmacy negotiating sales transactions with the maker of every single product that it carries in its stores. CVS deals with wholesalersIntermediaries who buy goods from suppliers and sell them to businesses that will either resell or use them. (sometimes called distributors): intermediaries who buy goods from suppliers and sell them to businesses that will either resell or use them. Likewise, you’d sell your bandages to a wholesaler of health care products, which would, in turn, sell them both to businesses like CVS, Kmart, and Giant Supermarkets and to institutions, such as hospitals and college health care centers. The wholesaler doesn’t provide this service for free. Here’s how it works. Let’s say that CVS is willing to pay $2 a box for your bandages. If you go through a wholesaler, you’ll probably get only $1.50 a box. In other words, you’d make $0.50 less on each box sold. Your profit marginAmount that a company earns on each unit sold.—the amount you earn on each box—would therefore be less. While selling through wholesalers will cut into your profit margins, the practice has several advantages. For one thing, wholesalers make it their business to find the best outlets for the goods in which they specialize. They’re often equipped to warehouse goods for suppliers and to transport them from the suppliers’ plants to the point of final sale. These advantages would appeal to Wow Wee. If it sold Robosapiens to just a few retailers, it wouldn’t need to go through a distributor. However, the company needs wholesalers to supply an expanding base of retailers who want to carry the product. Finally, intermediaries, such as wholesalers, can make the distribution channel more cost-effective. Look, for example, at Figure 9.9 "What an Intermediary Can Do". Because every contact between a producer and a consumer incurs costs, the more contacts in the process (panel a), the higher the overall costs to consumers. The presence of an intermediary substantially reduces the total number of contacts (panel b). Buyers from the stores that sell Robosapiens don’t go to the Wow Wee factory (which happens to be in China) to pick up their orders. The responsibility for getting its products to customers, called physical distributionActivities needed to get a product from where it was manufactured to the customer., belongs to Wow Wee itself. To keep its customers satisfied, Wow Wee must deliver robots on time, in good shape, and in the quantity ordered. To accomplish this, Wow Wee must manage several interrelated activities: warehousing, materials handling, and transportation. After the robots have been packaged, they’re ready for sale. It would be convenient if they’ve already been sold and only needed to be shipped to customers, but business-to-business (B2B) transactions don’t always work out this way. More often, there’s a time lag between manufacture and delivery. During this period, the robots must be stored somewhere. If Wow Wee has to store a large volume over an extended period (perhaps a month or two right before the holiday season), it will keep unsold robots in a storage warehouseBuilding used for the temporary storage of goods.. On the other hand, if Wow Wee has to hold them only temporarily while they’re en route to their final destinations, they’ll be kept in a distribution centerLocation where products are received from multiple suppliers, stored temporarily, and then shipped to their final destinations..
Wal-Mart, for example, maintains more than one hundred distribution centers at which it receives goods purchased from suppliers, sorts them, and distributes them to 3,500 stores, superstores, and Sam’s Clubs around the country. Its efficiency in moving goods to its stores is a major factor in Wal-Mart’s ability to satisfy customer needs. How major? “The misconception,” says one senior executive “is that we’re in the retail business, but in reality, we’re in the distribution business.”Andres Lillo, “Wal-Mart Gains Strength from Distribution Chain,” Home Textiles Today, March 24, 2003, http://print.google.com/print/doc?articleid=gwh63DhHmV5 (accessed May 21, 2006). Making, storing, and distributing Robosapien entails a good deal of materials handlingProcess of physically moving or carrying goods during production, warehousing, and distribution.—the process of physically moving or carrying goods during production, warehousing, and distribution. Someone (or some machine) needs to move both the parts that go into Robosapien and the partially finished robot through the production process. In addition, the finished robot must be moved into storage facilities and, after that, out of storage and onto a truck, plane, train, or ship. At the end of this leg of the trip, it must be moved into the store from which it will be sold. All these activities draw on company resources, particularly labor, and there’s always the risk of losing money because the robot’s been damaged during the process. To sell goods at competitive prices, companies must handle materials as efficiently and inexpensively as possible. One way is by automating the process. For example, parts that go into the production of BMWs are stored and retrieved through automated sequencing centers.BMW Manufacturing Co., “Virtual Plant Tour,” http://bmwusfactory.com/build/default.asp (accessed May 21, 2006). Cars are built on moving assembly lines made of “skillets” large enough to hold workers who move along with the car while it’s being assembled. Special assistors are used to help workers handle heavy parts. For hard-to-reach areas under the car, equipment rotates the car 90 degrees and sets the undercarriage at waist level. Records on each car’s progress are updated by means of a bar code that’s scanned at each stage of production.“BMW Oxford Plant: The MINI Plant,” Automotive Intelligence, July 10, 2001, http://www.autointell.com/european_companies/BMW/mini/oxford-plant/bmw-oxford-plant-01.htm (accessed May 21, 2006). Another means of reducing materials-handling costs is called just-in-time productionSystem for reducing inventories and costs by requiring suppliers to deliver materials just in time to go into the production process.. Typically, companies require suppliers to deliver materials to their facilities just in time for them to go into the production process. This practice cuts the time and cost entailed by moving raw materials into and out of storage. There are several ways to transport goods from manufacturing facilities to resellers or customers—trucks, trains, planes, ships, and even pipelines. Companies select the best mode (or combination of modes) by considering several factors, including cost, speed, match of transport mode to type of good, dependability, and accessibility. The choice usually involves trade-offs. Planes, for example, are generally faster but cost more than other modes. Sending goods by cargo ship or barge is inexpensive but very slow (and out of the question if you want to send something from Massachusetts to Chicago). Railroads are moderately priced, generally accessible, and faster than ships but slower than planes. They’re particularly appropriate for some types of goods, such as coal, grain, and bulky items (such as heavy equipment and cars). Pipelines are fine if your product happens to be petroleum or natural gas. Trucks, though fairly expensive, work for most goods and can go just about anywhere in a reasonable amount of time. 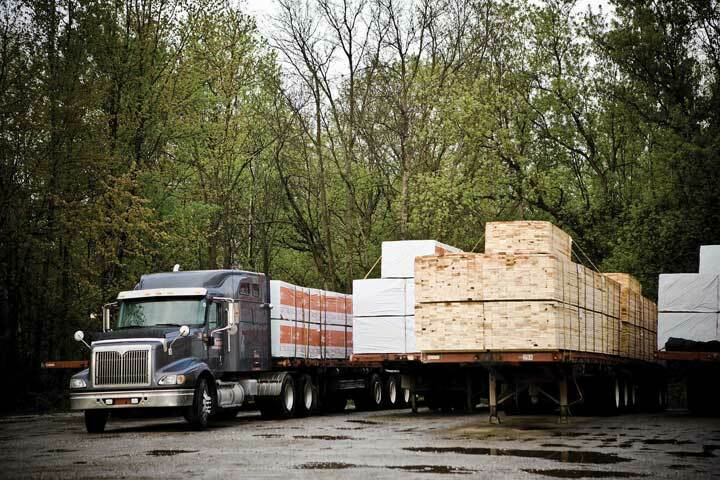 Trucks are the primary source of transportation in the lumber industry. According to the U.S. Department of Transportation,U.S. Department of Transportation, Bureau of Transportation Statistics, Commercial Freight Activities in the U.S. by Mode of Transportation (1993, 1997, and 2002), http://www.bls.gov/oco/cg/cgs021.htm#nature (accessed May 21, 2006). trucks are the transportation of choice for most goods, accounting for 65 percent of U.S. transportation expenditures. Trucks also play an important role in the second highest category—multimodal combinations, which account for 11 percent of expenditures. Multimodal combinations include rail and truck and water and truck. New cars, for example, might travel from Michigan to California by rail and then be moved to tractor trailers to complete their journey to dealerships. Water accounts for 9 percent of expenditures, air for 8 percent. When used alone, rail accounts for only 4 percent but is commonly combined with other modes. Pipelines account for 3 percent of expenditures. Crowded highways notwithstanding, the economy would come to a standstill without the more than 115,000 (generally small) businesses that make up the U.S. trucking industry.U.S. Department of Labor, Bureau of Labor Statistics, Truck, Transportation and Warehousing, http://www.bls.gov/oco/cg/cgs021.htm (accessed May 21, 2006). Purchasing managers buy raw materials from suppliers (sugar and other ingredients used to make marshmallow, food coloring, and so forth). Other operations managers transform these raw materials, or ingredients, into 4.2 million Marshmallow Peeps every day. Operations managers in shipping send completed packages to a warehouse where they’re stored for later distribution. Operations managers at the warehouse forward packaged Marshmallow Peeps to dealers around the world. Retail dealers sell the Marshmallow Peeps to customers. This process requires considerable cooperation, not only among individuals in the organization but also between Just Born and its suppliers and dealers. Raw-materials suppliers, for instance, must work closely with Just Born purchasing managers, who must, in turn, work with operations managers in manufacturing at Just Born itself. People in manufacturing have to work with operations managers in the warehouse, who have to work with retail dealers, who have to work with their customers. 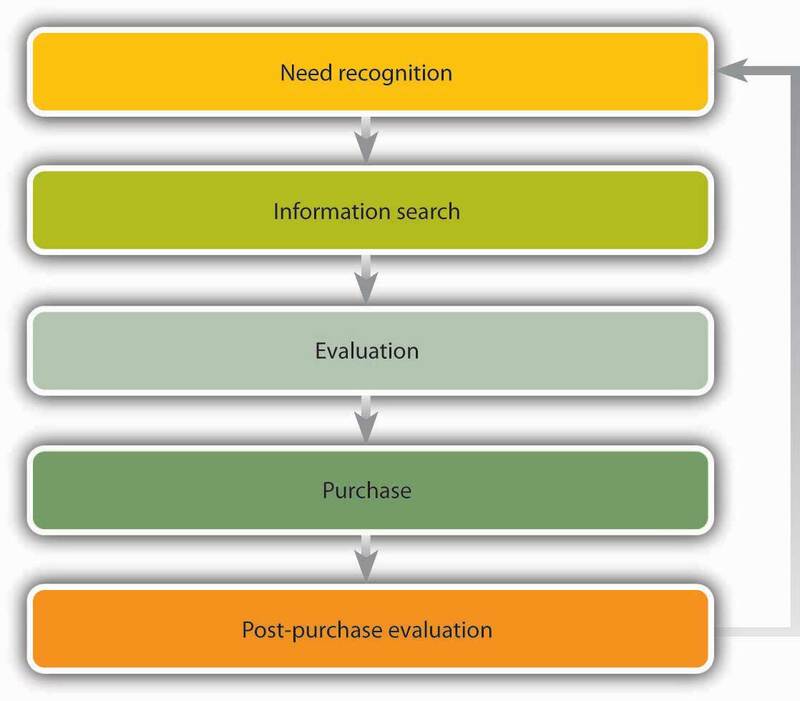 If all the people involved in each of these steps worked independently, the process of turning raw materials into finished Marshmallow Peeps and selling them to customers would be inefficient (to say the least). However, when everyone works in a coordinated manner, all parties benefit. Just Born can make a higher-quality product at a lower cost because it knows that it’s going to get cooperation from suppliers whose livelihood, after all, depends on the success of customers like Just Born: suppliers can operate more efficiently because they can predict the demand for their products (such as sugar and food coloring). At the other end of the chain, dealers can operate efficiently because they can depend on Just Born to deliver a quality product on time. The real beneficiary is ultimately the end user, or customer: because the process that delivers the product is efficient, its costs are minimized and its quality is optimized. The customer, in other words, gets a higher-quality product at a lower price. As you can see in Figure 9.11 "A Simplified Supply Chain", the flow that begins with the purchase of raw materials and culminates in the sale of the Marshmallow Peeps to end users is called the supply chainFlow that begins with the purchase of raw materials and ends in the sale of a finished product to an end user.. The process of integrating all the activities in the supply chain is called supply chain management (SCM)Process of integrating all the activities in the supply chain.. As you can see from our discussion so far, SCM requires a high level of cooperation among the members of the chain. All parties must be willing to share information and work together to maximize the final customer’s satisfaction.Lawrence D. Fredendall and Ed Hill, Basics of Supply Chain Management (Boca Raton, FL: St. Lucie Press, 2001), 8. Managing your supply chain can be difficult, particularly if your company has large seasonal fluctuations.Simone Kaplan, “Easter in November, Christmas in July,” CIO Magazine, November 1, 2001, http://www.cio.com/archive/110101/easter.html (accessed May 21, 2006). This is certainly true at Just Born. Even though it has a Marshmallow Peep for every season (heart Peeps for Valentine’s Day, spooky Peeps for Halloween, patriotic Peeps for July Fourth, and so on), the biggest problem rests with the standard yellow Marshmallow Peep that provides a major spike in sales each spring. Without careful supply chain management, there would be either too many or two few yellow Marshmallow Peeps—both big problems. To reduce the likelihood of either situation, the manager of the company’s supply chain works to ensure that all members of the chain work together throughout the busy production season, which begins each fall. Suppliers promise to deliver large quantities of ingredients, workers recognize that they will be busy through February, and dealers get their orders in early. Each member of the chain depends on the others to meet a mutually shared goal: getting the right quantity of yellow Marshmallow Peeps to customers at the right time. But what if a company has multiple sales spikes (and lulls)? What effect does this pattern have on its supply chain? Consider Domino’s Pizza. Have you ever thought about what it takes to ensure that a piping-hot pizza will arrive at your door on Super Bowl Sunday (Domino’s busiest day of the year)? What about on the average weekend? How about when the weather’s bad and you just don’t want to go out? 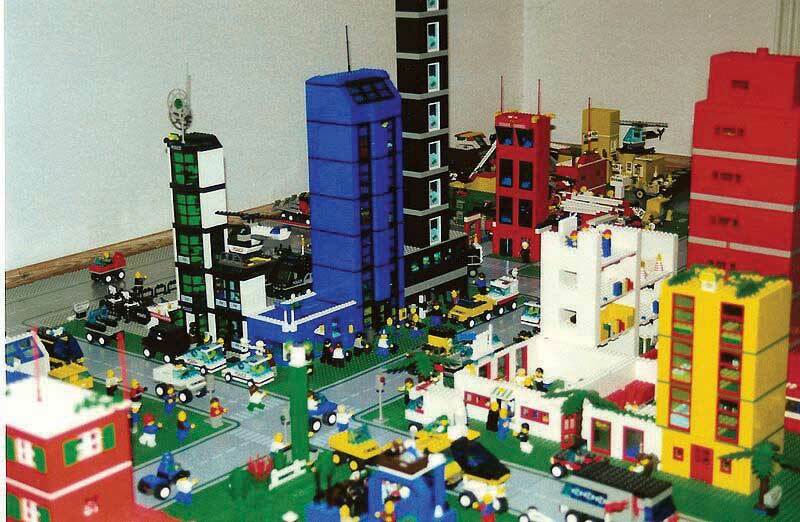 Clearly, Domino needs a finely tuned supply chain to stay on top of demand. Each year, the company sells about four hundred million pizzas (more than one pizza for every man, woman, and child in the United States). Its suppliers help to make this volume possible by providing the company with about one hundred fifty million pounds of cheese and toppings. Drivers do their part by logging nine million miles a week (the equivalent of 37.5 round trips to the moon every week). How are these activities managed? Dominos relies on a software system that uses historical data to forecast demand by store; determines, orders, and adjusts supplies; fills staffing needs according to expected sales levels; and facilitates the smooth flow of accurate information among members of the chain. All this coordination is directed at a single goal—satisfying the largest possible number of end users.Domino’s Pizza LLC, “About Domino’s Pizza,” http://www.dominos.com (accessed May 21, 2006). Supply chain management helps companies produce better products at lower costs and to distribute them more effectively. Remember, however, that effective supply chain management doesn’t necessarily guarantee success. A company must also persuade consumers to buy its products, rather than those of its competitors, and the key to achieving this goal is delivering the most value. Today’s consumers can choose from a huge array of products offered at a range of prices through a variety of suppliers. So how do they decide which product to buy? Most people buy the product that gives them the highest value, and they usually determine value by considering the three factors that many marketers call the customer value triadThree factors that customers consider in determining the value of a product: quality, service, and price. : quality, service, and price.Philip Kotler, Marketing Management, 11th ed. (Upper Saddle River, NJ: Prentice Hall, 2003), 11. In short, consumers tend to select the product that provides the best combination of these factors. To deliver high customer value, a company must monitor and improve its value chainEntire range of activities involved in delivering value to customers.—the entire range of activities involved in delivering value to customers.The concept of the value chain was first analyzed by Michael Porter in Competitive Advantage: Creating and Sustaining Superior Performance (New York: The Free Press, 1985). Some of these activities arise in the process of supply chain management—obtaining raw materials, manufacturing products, getting finished goods to customers. Others take place outside the supply chain, particularly those associated with marketing and selling products and with providing customer support. In addition, companies need to find ways of creating value by improving the internal operations—procurement, research and development, human resource management, and financial management—that support their primary value-chain activities. The idea is fairly simple: by focusing on the interrelated links in its value chain, a company can increase product quality, provide better service, and cut prices. In other words, it can improve its quality-service-price mix, thereby making its products more competitive. Distribution entails all activities involved in getting the right quantity of a product to customers at the right time and at a reasonable cost. Companies can sell directly (from stores or over the Internet) or indirectly, through intermediaries—retailers or wholesalers who help move products from producers to end users. Retailers buy goods from producers and sell them to consumers, whether in stores, by phone, through direct mailings, or over the Internet. 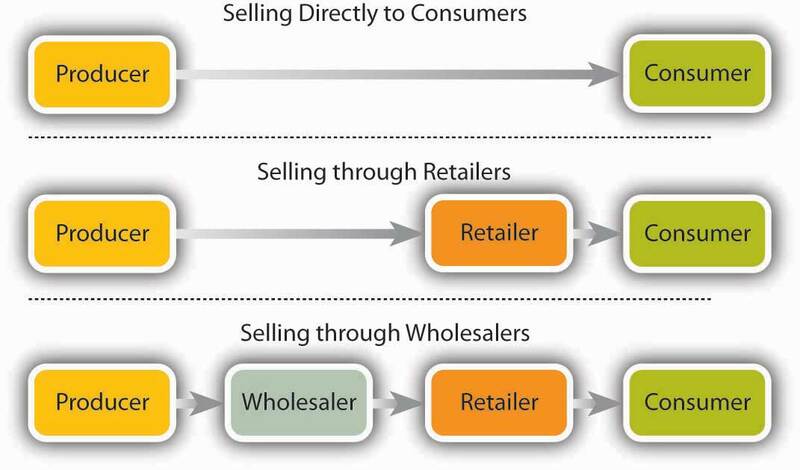 Wholesalers (or distributors) buy goods from suppliers and sell them to businesses that will resell or use them. Physical distribution—the process of getting products from producers to customers—entails several interrelated activities: warehousing in either a storage warehouse or a distribution center, materials handling (physically moving products or components), and transportation (shipping goods from manufacturing facilities to resellers or customers). 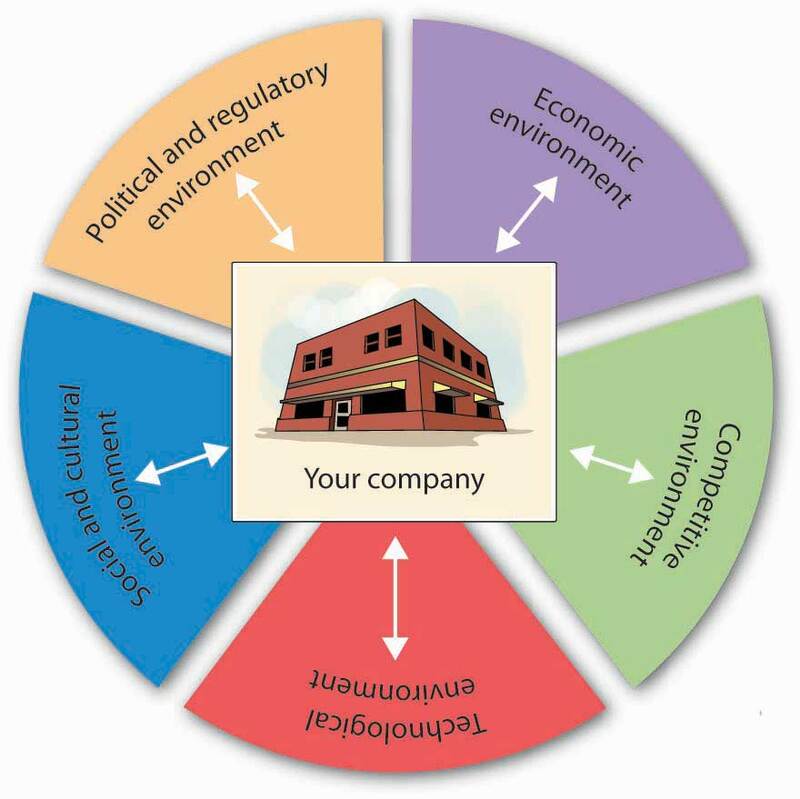 A firm can produce better-quality products at lower cost and distribute them more effectively by successfully managing its supply chain—the entire range of activities involved in producing and distributing products, from purchasing raw materials, transforming raw materials into finished goods, storing finished goods, and distributing them to customers. Effective supply chain management (SCM) requires cooperation, not only among individuals within the organization but also among the company and its suppliers and dealers. In addition, a successful company provides customers with added value by focusing on and improving its value chain—the entire range of its value-creating activities. Working in the school chemistry lab, you come up with a fantastic-tasting fruit drink. You’re confident that it can be a big seller, and you’ve found a local company that will manufacture it. Unfortunately, you have to handle the distribution yourself—a complex task because your product is made from natural ingredients and can easily spoil. What distribution channels would you use, and why? How would you handle the physical distribution of your product? Students at Penn State University can take a break from their studies to visit an on-campus ice cream stand called the Creamery. Milk for the ice cream comes from cows that graze on university land as part of a program run by the agriculture school. Other ingredients, including sugar and chocolate syrup, are purchased from outside vendors, as are paper products and other supplies. Using your personal knowledge of ice cream stand operations (which probably comes from your experience as a customer), diagram the Creamery’s supply chain. 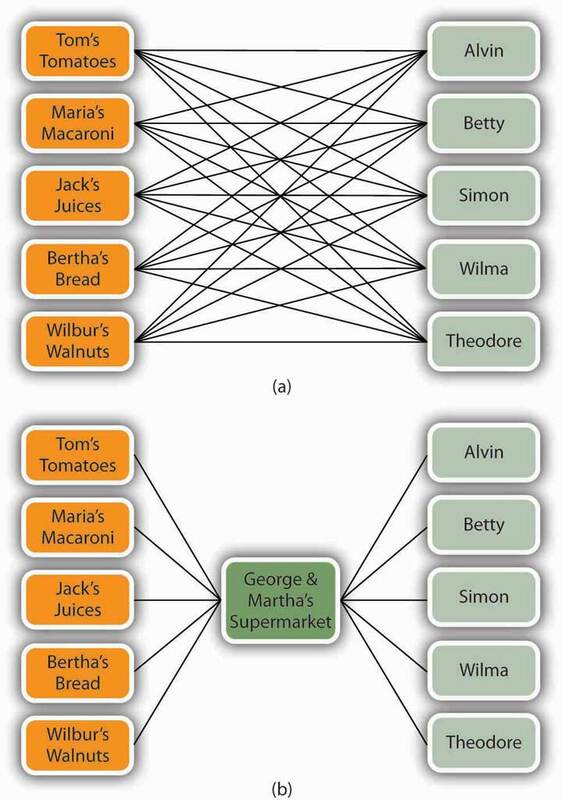 How would the supply chain change if the company decided to close its retail outlet and sell directly to supermarkets? Describe opportunities in the field of marketing. The field of marketing is extensive, and so are the opportunities for someone graduating with a marketing degree. While one person may seek out the excitement of an advertising agency that serves multiple clients, another might prefer to focus on brand management at a single organization. For someone else, working as a buyer for a retail chain is appealing. A few people might want to get into marketing research. Others might have an aptitude for supply chain management or logistics management, the aspect of supply chain management that focuses on the flow of products between suppliers and customers. Many people are attracted to sales positions because of the potential financial rewards. Let’s look more closely at a few of your options. If you’re interested in advertising, you’ll probably start out at an advertising agencyMarketing consulting firm that develops and executes promotional campaigns for clients.—a marketing consulting firm that develops and executes promotional campaigns for clients. Professionals work on either the “creative” side (developing ads and other campaign materials) or the business side (acting as liaisons between the firm and its clients). If you’re new, you’ll probably begin as an assistant and work your way up. You might, for example, start as an assistant copywriter, helping to develop advertising messages. Or you could assist an account coordinator, helping in the management of accounts, including the planning and implementation of marketing campaigns. Brand and product managers are responsible for all aspects of the development and marketing of assigned products. They oversee the marketing program, including marketing research, pricing, distribution, and promotion. They track and analyze sales, gather feedback from customers, and assess the competition. You’d probably join the company as a brand assistant assigned to a more senior-level manager. After a few years, you may be promoted to assistant brand manager and, eventually, to brand manager. At this point, you’d be given responsibility for your own brand or product. Marketing researchers meet with company managers to determine their information needs. Then they gather and analyze relevant data, write reports, and present their findings and recommendations. If you want to get into this field, you’ll need to acquire some skills in disciplines outside marketing, including statistics, research methods, and psychology. You’ll start out as an assistant, but you may advance comparatively quickly. Effective supply chain management is vital to success in today’s business environment. Those who start their careers in supply chain management typically work in one of the following areas: purchasing and supply management, transportation and logistics, operations management, or inventory management and control. If this field appeals to you, you’ll need to take courses in several disciplines: management, marketing, operations management, and accounting. If you want to specialize in logistics management, you’ll be happy to know that many organizations—manufacturers, wholesalers, retailers, service providers, and transportation carriers—are looking for people interested in physical distribution. If you want to go into this field, you’ll need strong quantitative skills in addition to a background in business with a specialization in marketing. Retailing offers all sorts of options, such as merchandise buying and store management. As a buyer, you’d select and buy merchandise for a department, a store, or maybe even an entire chain. Store managers display merchandise, supervise personnel, and handle day-to-day operations. Graduates looking for jobs in both areas generally start as trainees and work their way up. Many marketing graduates begin their careers in sales positions, often for service organizations, such as insurance, real estate, and financial-services companies. Others are employed in the wholesale and retail trades or enter the manufacturing sector, selling anything from industrial goods to pharmaceuticals. To succeed in sales, you need a thorough understanding of customers’ needs and an extensive knowledge of your product. You should also be able to communicate well, and you’ll need strong interpersonal skills. Bear in mind that experience in sales is excellent preparation for almost any position in business. The field of marketing is extensive, and so are the opportunities for someone graduating with a marketing degree. A few of the options available include advertising, brand and product management, marketing research, supply chain and logistics management, retailing, and sales. Do you find a career in marketing interesting? Why or why not? Which of the following marketing career options are most appealing to you—advertising, brand and product management, marketing research, supply chain and logistics management, retailing, or sales? Why?